The Briton's first title was won 3-6 7-6 (7-2) 7-6 (7-4) and, breaking down in tears afterwards, he demonstrated what it meant to him. It's really nice when something you've been working for comes together. He said afterwards: "A lot of hard work goes into this. It's just emotion. It's hugely special. You'll always remember this one. Gael made me work for it today. Credit to him. I'm so happy. It's not just me who puts in the work, there's guys behind the scenes. "It's really nice when something you've been working for comes together. It's only my second final. I've not been able to string together my matches to win tournaments. There's always been something to let me down. It's been one of my goals to be more consistent." Monfils dominated the first set, demonstrating more power on his serve. However, Edmund rallied in the second, breaking the Frenchman's serve to take a 3-1 lead. Monfils broke back and the set went to a tie-break which Edmund came through. The deciding set was also tight, both players having to save break points before it too went to a tie-break which Edmund won 7-4. It caps a breakthrough year for the British player who rises to a career high ATP ranking of 14 in the world and ends 2018 after reaching his first Grand Slam semi-final at the Australian Open and now his first ATP title. Edmund's year isn't quite at an end; he now travels to Vienna to take part in the Erste Bank Open, starting off against the Argentine player Diego Schwartzman. Edmund is 1000/1 to win in Vienna with Kevin Anderson 2/1. 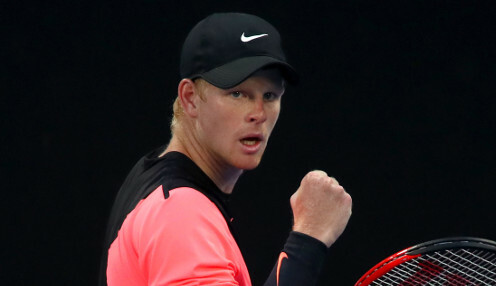 Edmund is 80/1 to win the Australian Open, the first Grand Slam of 2019 with Roger Federer 9/2 and Novak Djokovic 6/5.